Senior Jake Bunker in the new "Intro to Design Thinking and Tools" course. In the past, students have sometimes said that the electives at La Salle are not as sensational as the ones at other schools. But there are several teachers at La Salle who are helping to change that by creating five new electives this year. These classes range all the way from Advanced Acting and Production to Faith in Media. 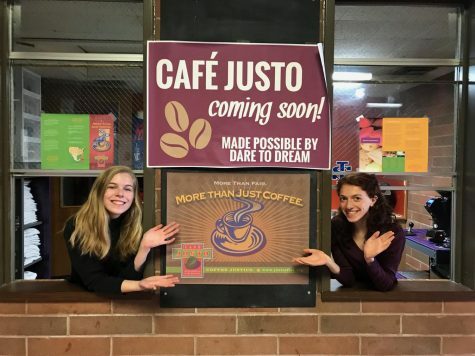 Several teachers and members of the student body have shown excitement toward these new classes, even though the school year has just begun. Something unique about these new classes is that two of them are online, making the homework and the teaching mostly independent and at your own pace. These online classes generally only meet in person once per month for discussions, when the teacher of the class also gives instructions on what is coming up in the new month. 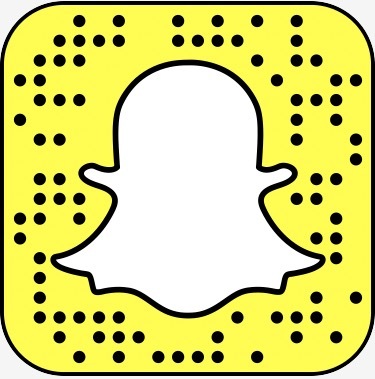 Here is an overview of what’s happening in each of these new classes, and how the teachers as well as the students are feeling about them so far. Students in Advanced Acting and Production listening to a pitch from the writers. Students in the class, acting in an improvisation. Senior Izzy English pitching reasons why the students in the class should choose a pre-existing piece for the winter show. This year, Mr. Shelton has created an audition-only class that is for students tenth grade and above to take. 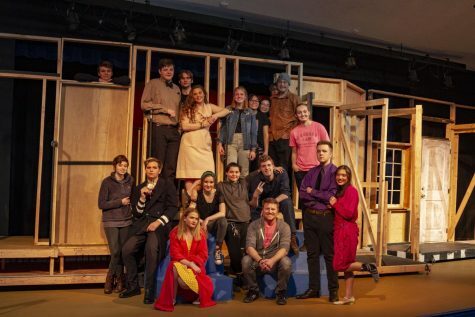 With its small class size and big space to perform, Advanced Acting and Production has sparked interest in the theater department, especially among many veteran theater students. 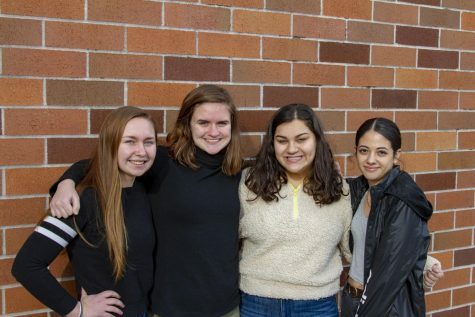 One aspect that is different from past years within the La Salle theater department is that the class is producing a winter show. 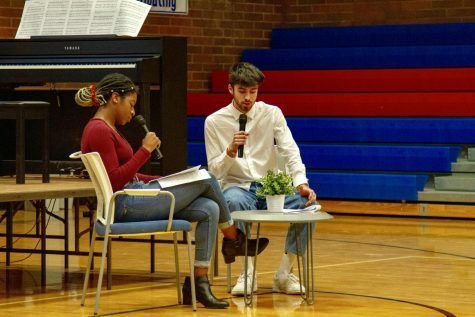 Throughout these past few weeks, Advanced Acting students debated about whether or not to write and produce an original script or perform a pre-existing show for this new winter performance. 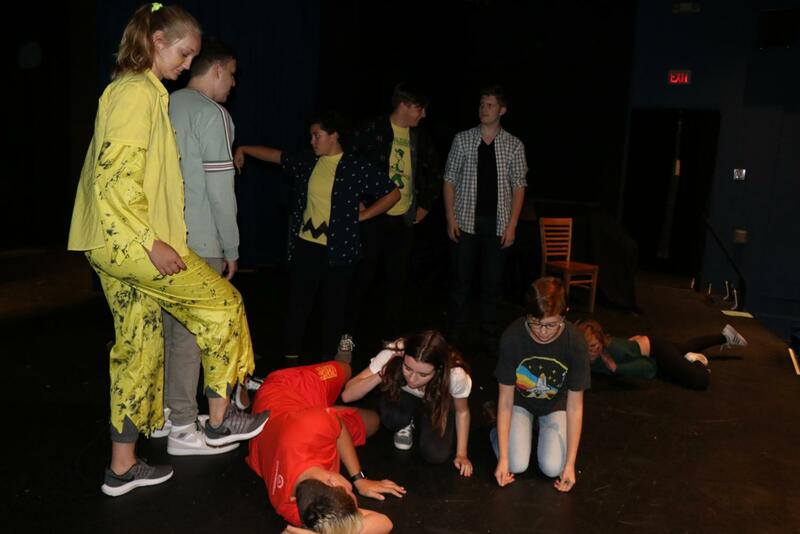 The students in Advanced Acting and Production ultimately decided that they are going to do a pre-existing play for the winter show, but the exact play has not yet been selected. 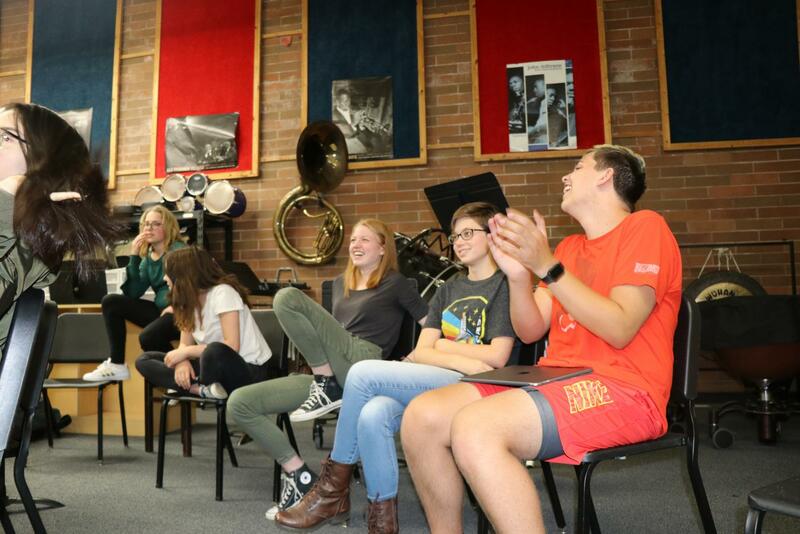 From presentations and pitches from the writers, to the improvisations, Mr. Shelton’s goal with Advanced Acting and Production is to provide a new perspective into the world of theater. Mr. Shelton is excited about teaching students who are willing to go to the next level with their acting, writing, and production skills. “I love acting, and I feel like we, this year especially, had enough students with the talent and interest to want to go to the next level and improve as actors and crew members,” he said. 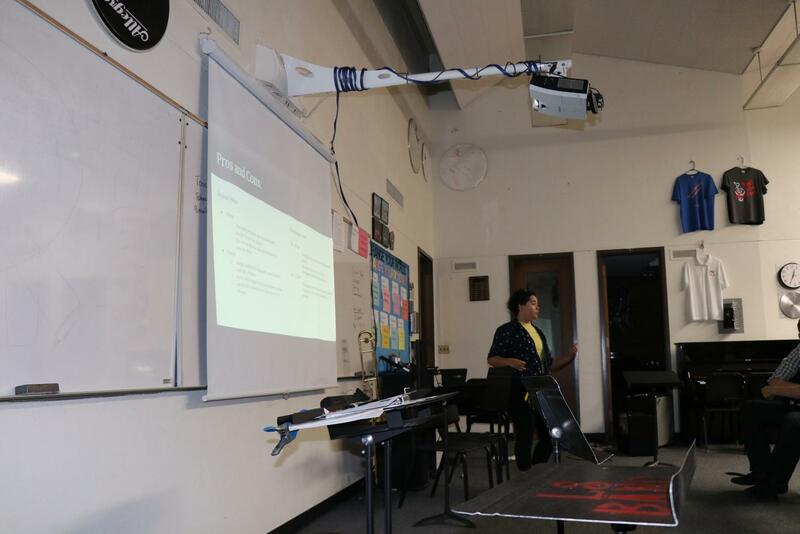 This class is taught during first period in the band room as well as the theater. “The class is very production based and hands on,” Mr. Shelton said. He also recommends that anyone who is interested in theater should take the course. 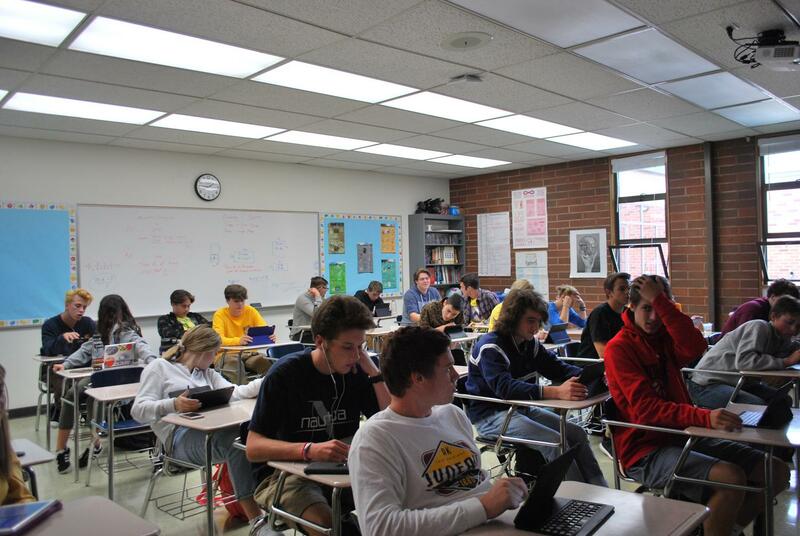 Students in Advanced Math Applications for College, listening to Mr. Hazel's lecture. 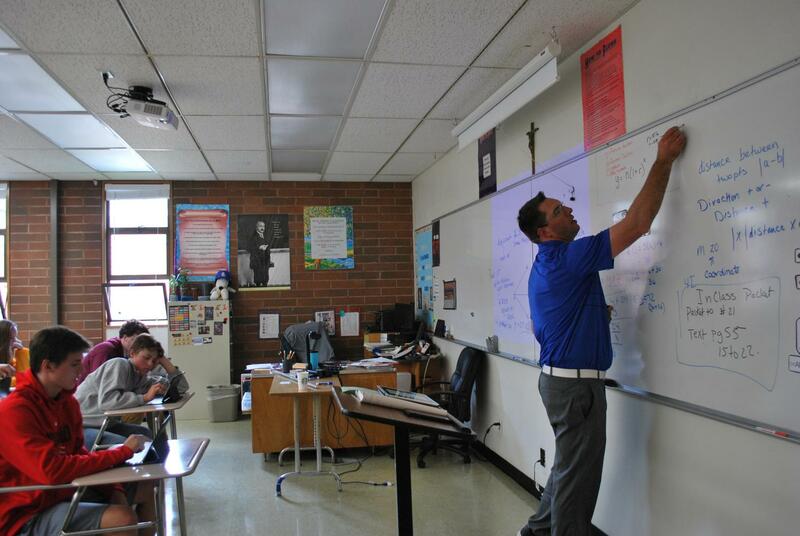 Mr. Hazel writing on the board during Advanced Math Applications for College. This year, Coach Hazel is providing a senior only math class that focuses on real world math applications. Currently, the seniors who are part of this class are doing a project about how they can change the school for the better. This class takes place in room 130 during second period. 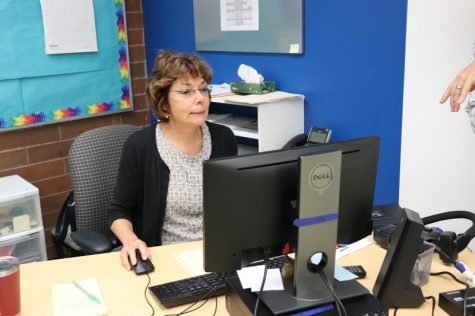 Because it is an online class, Ms. McDonald mostly teaches Creative Writing from her computer. 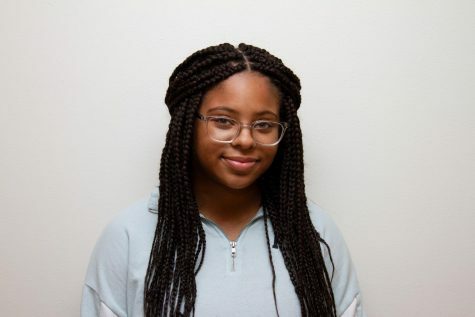 Ms. McDonald taught creative writing last year, so what makes this year unique? Well, Ms. McDonald explained that Creative Writing is now an online class, making it a new, independent, and at your own pace class. In Creative Writing, students do not have to write essays, like they do in English. It is a more fun way for students to express their love of writing, without the pressure essays entail. According to Ms. McDonald, Creative Writing helps students to go out of their comfort zones when it comes to writing. 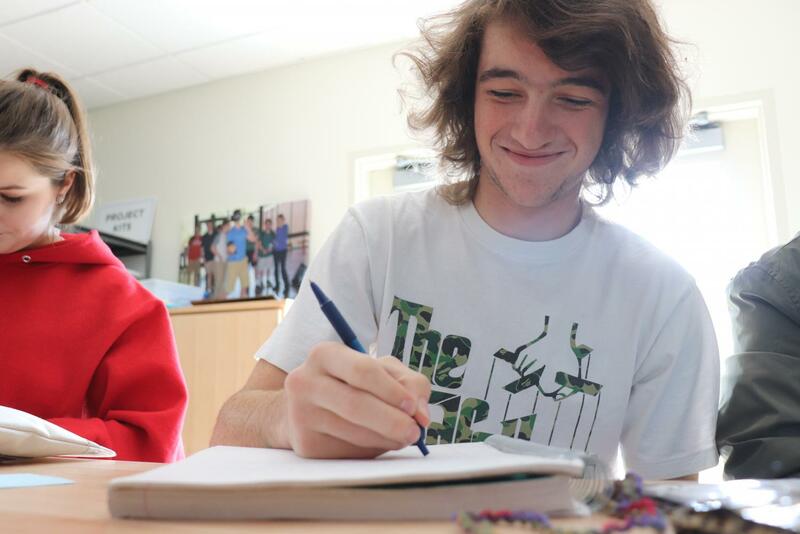 While most students in high school are focused on writing essays, Creative Writing is more of an innovative class when it comes to the writing process. Senior Owen Reynolds working on the online work for Faith in Media with Mr. Kendrick. Similarly to Creative Writing with Ms. McDonald, Faith in Media is a new class that is also online. 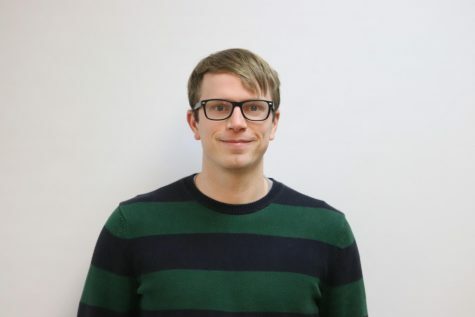 This class is taught by Mr. Kendrick and it focuses on looking at different types of media and seeing if there are deeper, faith filled meanings throughout. This class can only be taken by seniors, and it counts for half of their religion credit for their final year. If you are interested in taking Faith in Media, it is only offered during first semester, at least for this year. 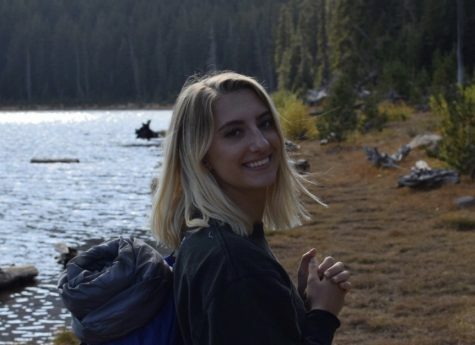 “I remember analyzing ‘The Lion, The Witch and The Wardrobe’ in Mr. Mainard’s class last year and I thought it was really fun to analyze a book in the aspect of religion,” senior Teresa Albert said, who is now taking Faith in Media. 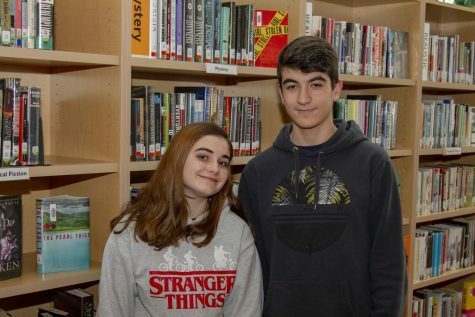 “The Lion, The Witch and the Wardrobe” isn’t something students typically would study in a religion class, but now that Faith in Media is being offered at La Salle, students can study various different art forms of their choosing, such as social media, movies, and TV shows, seeing how faith can be viewed through these different platforms. 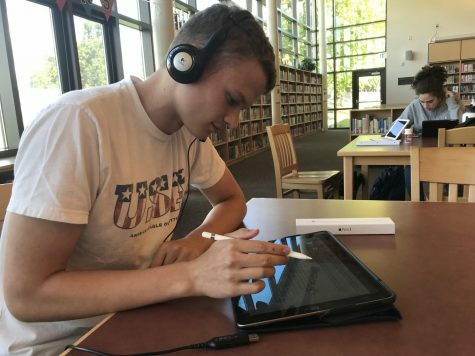 Senior Max Andrews working and creating a design for the class "Intro to Design Thinking and Tools". 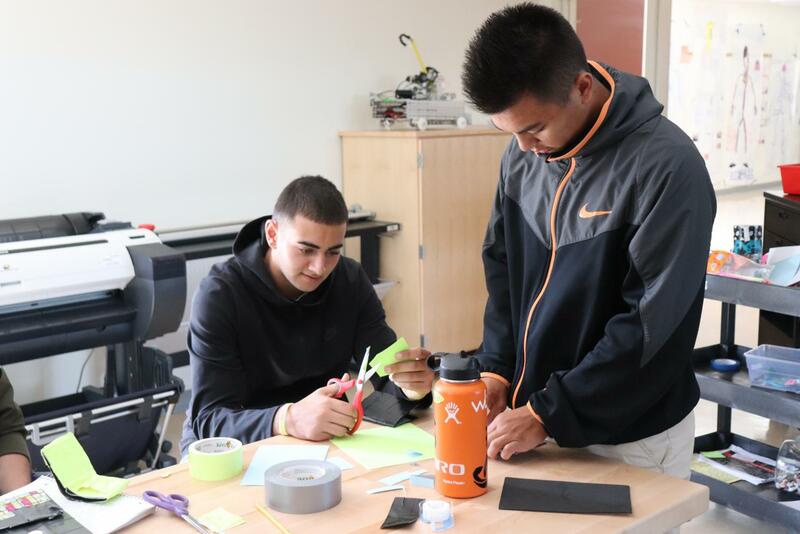 Seniors Rudy Massaad and Nico Hey in "Intro to Design Thinking and Tools". With La Salle having a new Makerspace that includes 3D printers and woodshop tools, Ms. Coleman saw this as the perfect opportunity to create a class based on using these complex tools to create interesting and creative projects. 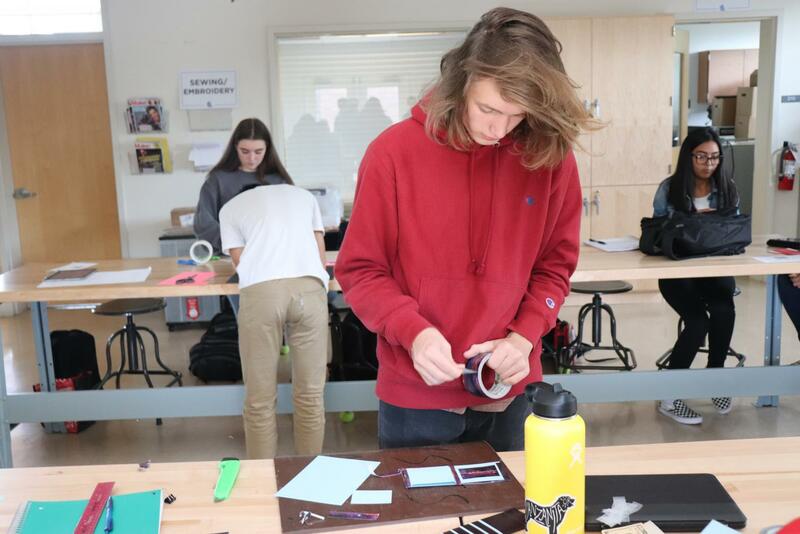 Ms. Coleman’s new Intro to Design Thinking and Tools class is an all grade level course that takes place during fifth period and uses the new Makerspace as a space to inspire the creative brains of students in new ways with new technology. 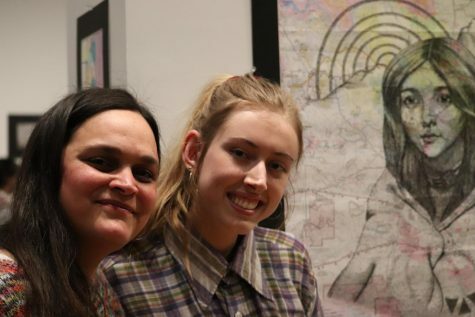 “I want students to be creative and curious, and I think there’s sometimes such an emphasis on just knowing [what] the right answer is, [and] life isn’t about having the right answers,” she added. 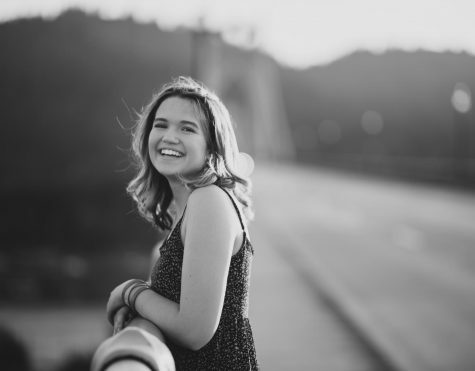 Since this class is offered to all grade levels, there are also many different perspectives and ideas that come from a wide range of students. I’m excited for these new relevant course offerings for students! I’m sure students and teachers alike will enjoy pursuing out-of-the-box, purpose-driven ideas and real-world knowledge. Go falcons!